If you happen across this lovely cone shaped, lavender flower, you have found yourself a Dotted Blazing Star. 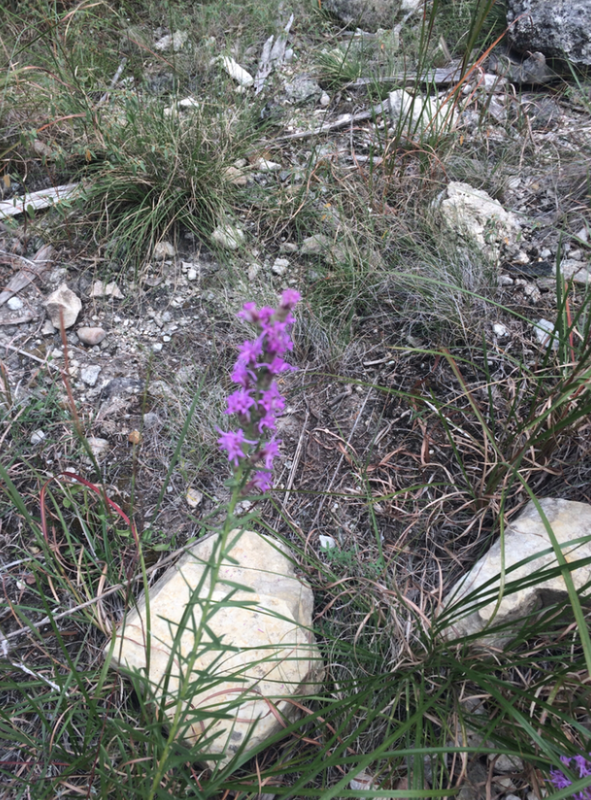 Their scientific name is Liatris punctata and they grow well in central Texas because of their deep roots and resistance to drought. This plant is also fire resistant as its able to re-sprout from its rhizome, and can easily be spread to newly cleared soils by the wind. The Dotted Blazing Star is palatable to many grazing organisms including white-tailed deer, which are present here at Wild Basin. These lovely flowers are under the secure range of conservation status, and we want to keep it that way. If you happen across them while hiking, leave them be so they continue to beautify our natural landscape.